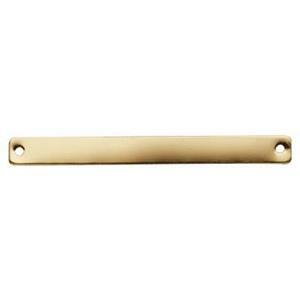 Long skinny bar link in 24 gauge lightweight gold filled material. A solid choice for hand stamping or minimal geometric designs. Easy to wear as an earring finding or a necklace component. Also makes a great trapeze bar focal festoon link. On trend gold filled jewelry supplies for your studio!